Jack King | Reading. Writing. Spying. 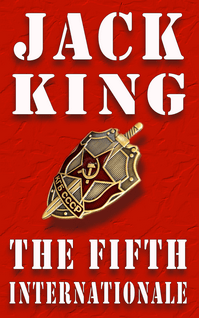 As a former top-secret government courier, Jack King was privy to all the ins and outs of covert maneuvering on a global scale. He has turned his work experience into a series of novels that resonate with authenticity. 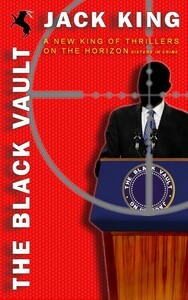 The corridors of power, with their backstabbing, greed and corruption, form a focus point of Jack’s books: Agents of Change, WikiJustice, The Black Vault, and The Fifth Internationale. I didn’t. It chose me. As cliche as it sounds, writing is a calling. One hears it, or not. I responded to my calling. Is there anything you’d like to write about, but can’t? I’ll never know what it’s like to give birth, but if it’s anything like facing a blank page, then I don’t want to experience it either. The Communist Manifesto. [Laughs]. My grandfather said, “Before you fight something, you must first try to understand it.” So I read Marx. At least it’s how I remembered my first book for a long time, until recently, when clearing some old boxes, I discovered a copybook of homework done at age 7. It was a drawing of a scene from The Bullerby Children, by Astrid Lindgren. A manuscript from a colleague, former Secret Service agent. A brilliant story, but it hasn’t been vetted yet, and I can’t tell you about it. A writer is someone who does not have a free will when it comes to writing. One simply must write. Publishing, on the other hand, is a choice. I suspect I published my first book for reasons most writers share, and which stem from false perception of why one ought to publish in the first place — I though I had something to say. 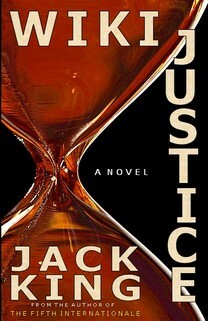 It took me almost six years following the debut, to publish the next novel. This time it came out for what I consider the right reasons true writers write — to ask questions. Hardest thing about writing thrillers are the Wikileaks, the Ed Snowdens, and Chelsea Mannings. You can’t make this stuff up. Only if the reader recognizes Julian Assange. From an author’s side, no single person is sufficient to create a compellingly complex character. Our protagonists are amalgams of numerous people whose paths crossed with the author’s. I’ve heard Damian Allende compared to Julian Assange, to Edward Snowden, and to Bradley Manning, sometimes individually, sometimes all together. He is all of them, and neither. I could also say Damian is the author, since every character contains something of his/her creator. Thus, the answer is, that he is all that, and more, in fact, he is whatever the reader sees in him. 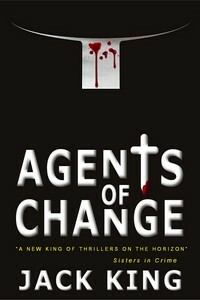 Are you referring to Agents of Change? A novelist ought to be a chronicler. When a writer jumps out of his pages he’d done a poor job. I hope readers see my characters, and follow their pleas, with the writer forgotten. Some things can’t be entrusted to postal service, interdepartmental mail, electronic mail, telephone, etc. In such cases human couriers are used. Having worked on both sides of the Iron Curtain taught me that people are essentially the same, regardless of where they are born and live. A book based in one side of a political, religious, or geographic divide, can be placed, just as easily, anywhere, with a simple cosmetic change of locale’ and characters’ names. Let’s hope not. For those of us aspiring to create something new, we must forget everything we learned, and start every new project as though it is the first. Writing shouldn’t be easy. When writing becomes too easy, writers tend to say too much. I don’t talk about work in progress, and I caution other writers who discuss their projects. When writers discuss what ought to be their original creation, it inevitably turns into what their interlocutors expect of the writer. We already suffer a very constricted literary scene. When a handful of gate keepers, the commissioning editors and literary agents, dictate what is said, they effectively build a dam on the free flow of thought. Write what you have to say, not what what “they” want you to say. For reasons I don’t want to get into, I don’t do scheduled appearances. Instead I pop in unannounced to sign books in bookstores [laughs]. If a reader happens to be there, and is interested, I will autograph my book for her. That is the extent of my appearances. You can trace it to what I did for a living. Staying in the shadows is embedded in my genes. I can keep a secret. I don’t discuss what I write about. My neighbors don’t know I’m a writer. Unlike my esteemed writing colleagues, I appreciate a degree of obscurity. Writers can’t work in a vacuum, where else would we find material if not from life? Solitude is what we need. We need emotional space. We write when we’re asleep, and when we’re awake, constantly chewing on the plot, the right words, character traits, etc. It may be difficult for our loved ones. It makes us seem aloof, but be sure we are paying attention, collecting material. None. I don’t watch TV. No contradiction here. What I write about I did not learn from TV. The “FOX News Effect” extends to all TV: The more we watch, the less we know. But there’s more. Watching has a devastating effect on creativity. The ready-made TV visuals eliminate our brain’s creative processes, in contrast to what happens when we read — we create images. I don’t intend to preach here, because none of the above was a reason for my cutting the cable. One day I realized, while watching something or other, that if I have time to watch, then I should read instead. I ditched my TV that very day. And I highly recommend same to everybody. It’s not as hard as it seems, and can be compared to cutting salt from your diet — your brain will miss it for about six weeks, and then, all of a sudden, poooh!, you won’t be able to dine out, you’ll be amazed how salty everything is. With TV the revelation is even greater. You will feel liberated, even mad at yourself for having been such a victim of propaganda, and, let’s face it — wasted time. I knew you’d ask that. [Laughs] And I’d be a fool to answer, since it would guarantee a backlash of angry comments. But, of course, a writer cannot be faint-hearted. Call me a fool, if you wish. I tend to avoid books from writers who attend the so-called creative writing courses. I will skip books by writers who proclaim on their social media platforms that they don’t talk about [insert issues]. I look for originality, independent voice, and curious minds. I look for books that challenge my presumptions. I look for books that shatter the glass castles. Books that burrow deep. Books that explore. Books that open wounds. I look for writers who have something to say, and say it come what may. In essence: I read books about issues. More of a goal, than a challenge. When you write thrillers, you must be prepared to spar with preconceptions concerning the genre. This is true in every language. Whatever our background, we, as people, as citizens, are products of the political, religious, or moral environments we grow up and live in. Any state’s existence is dependent on propaganda, or ideological upbringing of its citizens. We are bombarded with it from our earliest days to our graves, writers not excluding. My goal is to not be one of those writers who cannot see they are an extension of the state, and to rise above the divisions imposed upon us as people of the world. The challenge, to return to your question, when thrillers tend to be the extension of the state’s propaganda, is to reach readers who are willing to embark on the journey beyond the narrow upbringing. Let me tell you, it is a pretty lonely journey. I hope you will join me on this journey and, if I do get lost, you will show me the way. Let me know where I went astray, or how I ended up there in the first place. It isn’t true that with every book written a writer becomes better at storytelling. Every new book is a new challenge. The cumulative effect of all books written by an author is the courage to take on the next one. Thank you for choosing my book — I know how hard it is to pick from so many exciting stories out there, after all I too am a reader, and knowing you picked mine out of so many makes it the more precious. Any questions about my books? I’ll gladly answer. Louis Aragon, Adolfo Bioy Casares, Heinrich Böll, Yuri Bondarev, Jorge Luis Borges, Valery Brusov, Italo Calvino, Elias Canetti, Alejo Carpentier, Louis Ferdinand Celine, Cervantes, Joseph Conrad, Julio Cortazar, Anton Chekhov, Albert Camus, Carlos Dominguez, Feodor Dostoevsky, Alexandre Dumas, Ilya Ehrenburg, Anatol France, Max Frisch, Carlos Fuentes, Jean Genet, Andre Gide, Maxim Gorky, Herman Hesse, Victor Hugo, Mikhail Lermontov, Malcolm Lowry, Thomas Mann, Alerto Moravia, Robert Musil, Marcel Proust, Valentin Rasputin, Erich Maria Remarque, Romain Rolland, Ernesto Sabato, Jean-Paul Sartre, Luis Sepulveda, Mikhail Sholokhov, Leo Tolstoy, Stanisław Ignacy Witkiewicz, Emile Zola… and pretty much anything from Latin American magical realism.